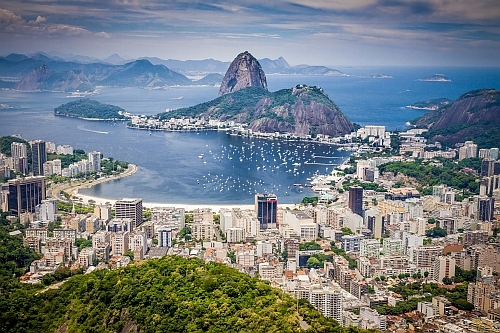 COPA Airlines has dropped the price of their late August and September flights from Montreal to Rio de Janeiro, Brazil down to $483 CAD roundtrip including taxes. You can also find flights from Montreal to Sao Paulo, Brazil around the same time for $454 CAD roundtrip. - Look for the dates that are $506 roundtrip. NOTE: From Skyscanner, clicking through to BudgetAir ($469) doesn't always work. You may need to try the $484 option. ALSO NOTE: On Kayak, the cheapest price ($472) is usually showing up as the second search result. montreal, yul, flight deals, south america, copa airlines, brazil, sao paulo and gru. 2 Responses to "Montreal to Rio de Janeiro, Brazil - $483 CAD roundtrip including taxes | Sao Paulo for $454"
Just booked this deal! Thank you so much for what you do! Thanks Melanie, that is definitely appreciated. Have a great time in Brazil!